Plastic Surgeon & Dermatologist Marketing Online: Is click fraud draining your advertising budget? If you're one of the thousands of plastic surgeons, dermatologists, laser clincs and medical spas advertising online with Google Adwords or Yahoo, don't be surprised to find that at least some of the money you're paying every month is generated by click fraud. In some particularly fraud prone verticals such as finance, class action lawsuits and medical, ClickFacts sees rates in the 30%-45% range. These are all categories that see high keyword pricing in the auction model. That makes them particularly tasty for click fraud artists. “If you can make more money from the dark side than the light side of search, there are plenty of people who will take advantage. Plus, it’s not even technically illegal yet. Competitors who see your ad simply click on it, draining your advertising dollars, or 'affiliate' sites are set up that run your ads where they are clicked on by bots or employees. These sites are the most damaging since you're paying for every click without any return. Click fraud for medical spas can be very lucrative since medspas are becoming such a competitive market and the payment per click can be as high as $4-5. To keep your budget safe you have very few tools. Google just advertisers $90 million to compensate for click fraud as the result of a class action suit but you can bet they're not that interested in your individual account. Especially since they're making money from click fraud too. 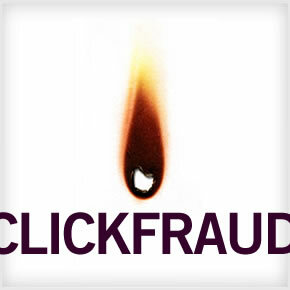 Start by limiting your exposure to click fraud. If you're still running an Adwords or Yahoo campaign, they allow you to limit the maximum amount you spend in a day. Take advantage of this feature by limiting your maximum cost to what you can afford to spend. You can also look for the tracks of click fraud by examining the reports you might have available to you. Multiple clicks coming from the same IP address are a sure sign of fraud. Malaysia has become such a haven for click fraud 'sweat-shops' that clicks generated there are completely discounted and Malaysian accounts for Adwords or Overture are not granted. If you're going to run search ads, try to protect yourself. You can be sure that you're the only one trying to.